Farnsworth Banks - Red gorgonian, Purple Hydrocoral. 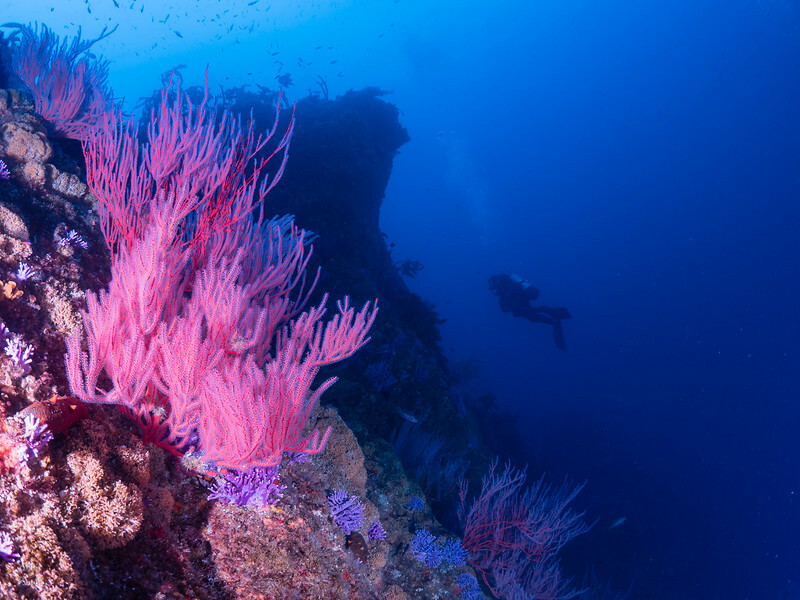 The dramatic reef structure is best seen by being there. This is a GREAT wall!